Reading skills are not only essential for education, healthy development, and cognitive growth, but are becoming an increasingly integral component in our modern, digital world. In today’s society, most communication is demonstrated through various text messaging formats and emails, which makes effective communication vital for the future success of our children. Here are 3 effective ways of motivating your child to read. Allowing your child to pick their pleasure by choosing their own book helps make reading a choice rather than a chore. Suzy Dodd, an English teacher at the Co-operative Academy of Leeds, refers to library sessions as “the escape”. 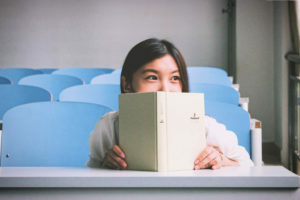 This is her unique way of promoting reading as a way of increasing pleasure, escapism from daily pressures, and self-indulgent relaxation. Researchers have shown that when children were being told a story, regions in the left- hemisphere of their brain became active. The areas impacted involve word comprehension, concepts, and memory. Studies have also shown that children that habitually read have greater academic success in vocabulary, spelling, and in math. 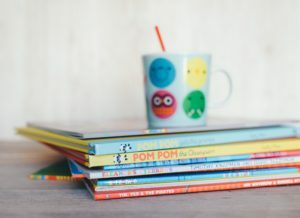 In an effort to stimulate and encourage your child to read, here are 10 simple tips that may help create excitement instead of reluctance. Try them out today… and let us know how they worked!